Resolving coworker conflicts is something many employee assistance professionals are well skilled at doing. 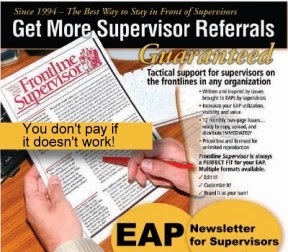 However, many EAPs don't advertise or promote this service. You should think about doing so to improve your worth and perceived value. Providing education on resolving coworker conflicts can increase your visibility for this service and EAP utilization, but the really good news is that such help to the organization brings with it big returns that may help you stick around. 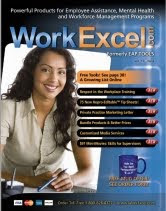 You will notice that many of the products and services at WorkExcel.com are designed to help EAPs be more valuable. For example, doing Stress Management Secrets for Supervisors was not an accident. It was produced to get EAPs closer to the decision makers. Are you interested in possibly cutting your newsletter expenses in half or more? 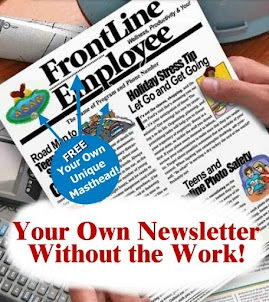 FrontLine Employee newsletter can do it. In PDF format, or print as needed, it can save you money and give you a completely customizable wellness newsletter program. Learn more about it here.